Your retreat to Zoëtry Wellness & Spa Resorts combines an unparalleled experience of complete harmony and unrivaled luxury with stunning ocean front settings. With nearly everything you could think of included in your Endless Privileges® package, including lavish accommodations, maid service three times daily, healthy gourmet cuisine, unlimited top-shelf spirits, 24-hour concierge services and so much more, an escape to any of our Zoëtry resorts is unlike anything you’ve ever imagined. The paradise of Zoëtry Paraiso de la Bonita is waiting for you! Lavish accommodations: Relax in your luxuriously-equipped suite filled with first-class amenities, including chilled beverages in your personal complimentary mini-bar and stunning ocean front views. Whether you opt for one, two or three bedrooms, you’ll enjoy elegant Bvlgari® bath amenities, a large soaking tub, fine quality linens, and 24-hour in-suite dining. At Zoëtry Wellness & Spa Resorts, every suite is fit for a king (or queen)! Gourmet Dining & Unlimited Top Shelf Spirits: Choose from an array of heart-healthy à la carte dining options, featuring locally grown fare and personalized dishes. All meals are included as part of your Endless Privileges®, in-suite dining is available 24/7, and reservations are never required. Menu options include vegetarian, gluten-free, sugar-free, vegan and more, or tell us your special dietary needs for a personalized dining experience! During your stay, treat yourself to unlimited cocktails, fine wines and premium beers in any of our world-class restaurants, bars or lounges. 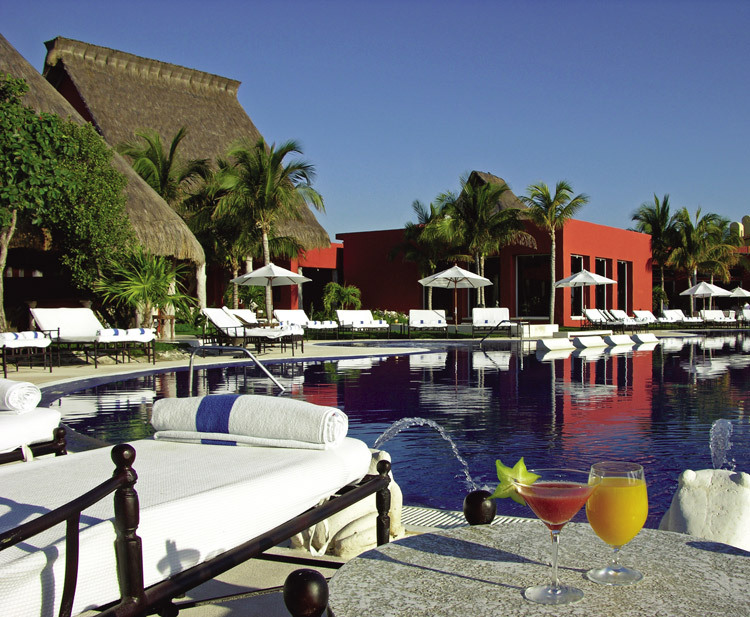 You’ll even receive a welcome bottle of tequila or rum upon your arrival! 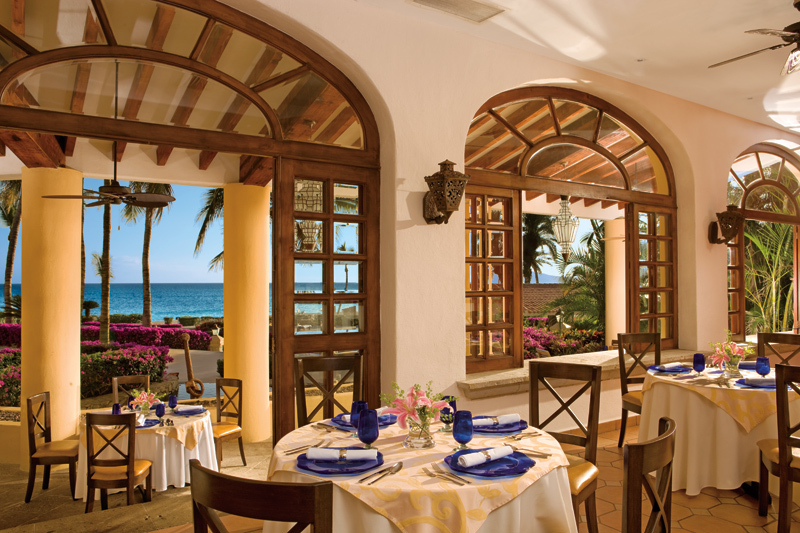 Savor a fusion of Mexican flavors and Nouvelle cuisine at Tapanco! Wellness & Spa: Revitalize and restore your body and spirit in our extraordinary spa — by yourself or with your partner. Experience soothing, tension-releasing massages or choose among a wide variety facial and body treatments provided by our expert therapists. You can also take advantage of our spa packages and experience a new level of holistic well-being. 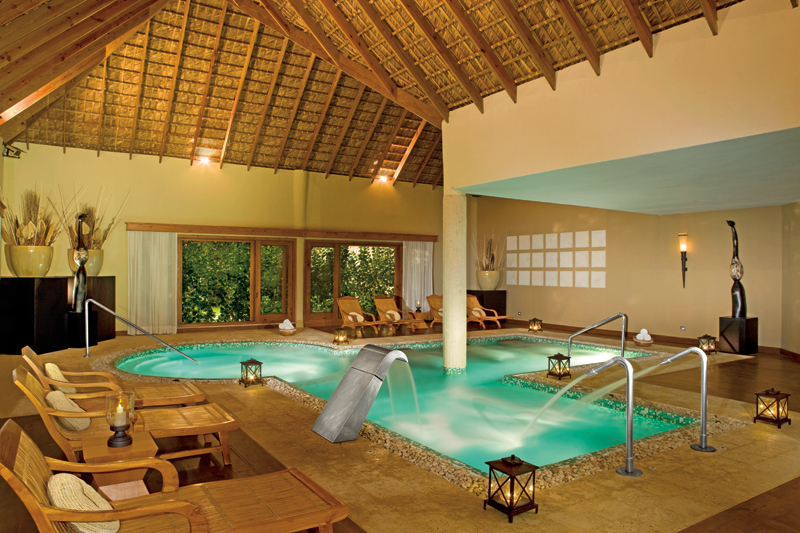 Heaven is the spa at Zoëtry Agua Punta Cana! Activities & Enrichment During the day, choose from a variety of daytime activities such as kayaking, snorkeling, fishing and biking or relax with your favorite cocktail by any of our exquisite pools. Put your mind at ease with daily wellness activities including beach yoga, unique cultural experiences, exciting excursions and more. Evening entertainment is also provided to keep the fun going even when the sun goes down! 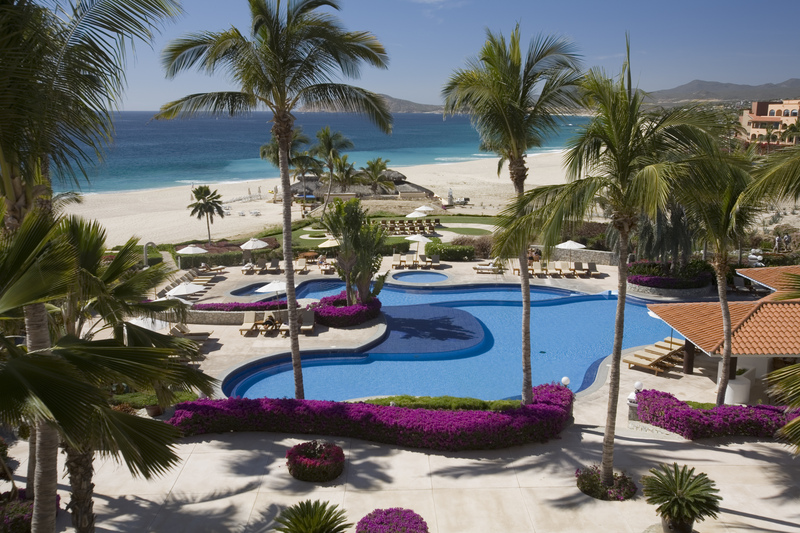 Are you ready to take a dip at Zoëtry Casa del Mar Los Cabos? Keep up with Zoëtry Wellness & Spa Resorts on all our social media channels! We’re on Instagram, Twitter and Pinterest, along with a Facebok page for each of our resort properties, Zoëtry Agua Punta Cana, Zoëtry Paraiso de la Bonita Riviera Maya and Zoëtry Casa del Mar Los Cabos. Choose from any of our fabulous properties and book your Zoëtry retreat today! 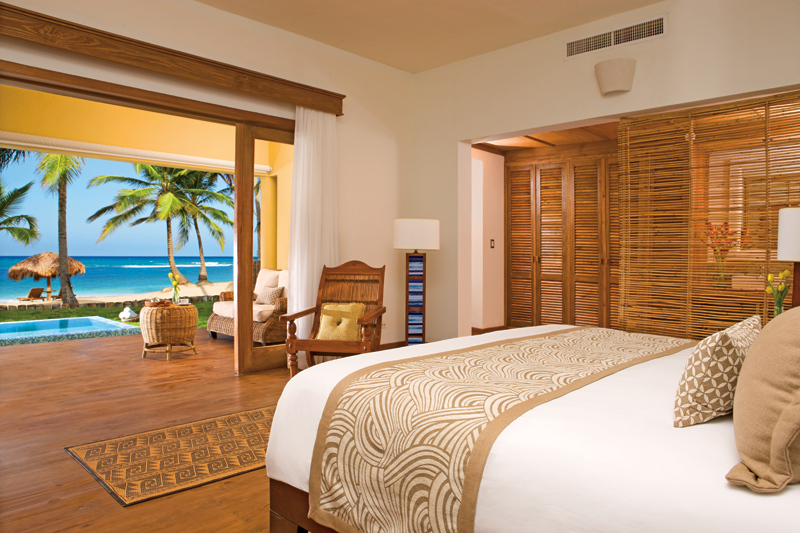 This entry was posted in Zoëtry Agua Punta Cana, Zoëtry Casa del Mar, Zoëtry Paraiso de la Bonita, Zoëtry Wellness & Spa Resorts and tagged #zoetry, all-inclusive, beach, Dominican Republic, Endless Privileges, Mexico, Punta Cana, resort, Vacation. Bookmark the permalink. ← AAA Diamond Awards Honor Zoëtry Wellness & Spa Resorts!